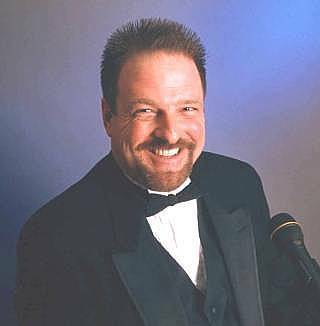 (Jan. 6, 2005) -- Long Beach senior city management says LB's Airport Noise Compatibility Ordinance is very defensible and adds that if the ordinance were challenged in court, Airport revenue (generated by air carriers using LB's municipal airport) could be used to pay to defend the ordinance. The statements by LB Airport Manager Chris Kunze, reiterated by LB Public Works Director Christine Andersen, came during a January 4 study session on the scope of an EIR for management-sought expansion of LB Airport's permanent terminal area facilities. The subject arose in response to an inquiry initiated by 8th district Councilwoman Rae Gabelich. At a November 2004 study session, Councilwoman Gabelich (who founded the airport monitoring group LBHUSH2 prior to her 2004 election) asked city staff if Airport revenue could be used to pre-fund a legal defense fund for LB's Airport ordinance. Staff said it would return with an answer in January...and did. LB Airport Manager Chris Kunze and Public Works Director Christine Andersen told the Council that although LB can't build an legal defense in advance of a legal challenge, the city can fund legal defense from airport user fees if LB's ordinance were challenged. "Federal rules prohibit user payments into a prepaid legal defense fund. Litigation costs can be charged to users through rates and fees at the time such costs are incurred," Mr. Kunze said. "If we actually had a claim or had a court challenge, that would be an actual cost and we could include that as part of the Airport fees and charges. What we can't do is speculate that a possible cost could be incurred and collect funds from current airlines for that possibility...So if we actually had a real cost and it was part of the operation of the Airport in doing business, that would be a legitimate element to include in our fees and charge calculations," Ms. Andersen said. Earlier in the study session, LB Airport Manager Chris Kunze told the Council, "From our perspective, the ordinance is very defensible. It's been approved by the federal district court as a key component of our 1995 [airport litigation] settlement [and] [t]here's supportive case law from the 9th circuit Court of Appeals..."
Mr. Kunze said he believes the biggest challenge to the ordinance would come if the city were to implement or administer it in a manner deemed "unreasonable, unfair or discriminatory" and added that "an example would be how we allocate facilities and space." Mr. Kunze called this issue "most prevalent at limited space airports, where you see an airline wanting to come in and compete...The availability of space is a key issue in terms of potential interference with interstate commerce or in unreasonable activity on our part to restrict competition. And that's what's commonly referred to as a "bad facts case," where it's not a direct hit on our ordinance whatsoever but it's how we administer the ordinance that can open up the doors to a challenge." Mr. Kunze reiterated city management's recommended sizing for permanent terminal area facilities, unveiled in summer 2004 to LB's "Airport Advisory Commission," which is significantly larger than what city management described less than a year earlier in its original September 2003 Notice of Preparation for the Airport terminal EIR. The change is apparently of such magnitude that city management has announced that it will issue new Notice of Preparation for the new EIR, effectively restarting the EIR process. The larger 2004 sizes were recommended by HNTB, a firm retained by Airport management, which does planning and also builds major public works projects...including airports. HNTB, which helped construct the Alameda Corridor, said its recommended sizes were based in part on FAA recommendations and "industry standards"...and were actually downsized by HNTB in some respects to reflect LB Airport's constricted area. The larger proposed terminal facilities reflect higher passenger levels based on empirical (real world) load levels (percentage of filled seat) and new aircraft, LB Airport management says. LB Airport, which until early 2004 said it expected roughly 3.8 million annual passengers (with all 25 commuter slots filled, not currently flying), now says passenger levels will be roughly 4.2 and 4.3 million annually. That's roughly 40% higher than the 3.0 million figure adopted in 2001 by the Southern California Association of Governments for LB Airport by 2025. The major portion of city management's proposed size increase relates to concession areas. In response to city management's proposed size increase, a non-elected "Airport Advisory Commission" asked for alternative smaller sizes...and HNTB responded by claiming the reduced concession areas would produce less revenue for the city. The "Advisory Commission" (filled by Mayor O'Neill and previous Councils with a majority that includes current and former private pilots and others with aviation related ties) ultimately voted 6-3 to back city management's plan. As previously reported by LBReport.com, during a 2004 Airport Advisory Commission meeting it became known (in a candid disclosure by a JetBlue representative) that July 2001 correspondence had taken place between now-former city management and JetBlue Airways concerning airport area improvements. JetBlue became LB Airport's major commercial carrier as a result of a May 2001 City Council vote (motion by Councilwoman Jackie Kell), taken on city management's recommendation, which ended up putting LB's Airport ordinance at risk. The fateful Council vote (8-1, Carroll dissenting) changed LB Airport's flight slot allocation rules so carriers could hold slots longer before flying them. 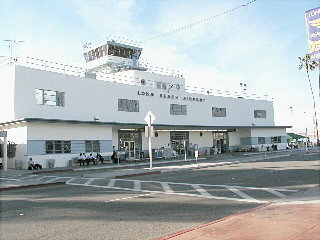 In response to the Council's May 2001 action, some LB Airport carriers instituted an FAA administrative proceeding that could have led to FAA enforcement action or a federal lawsuit...arguably the type of "bad facts" challenge that Airport Manager Kunze invoked when he answered a recent Council inquiry about expansion of LB Airport's facilities. JetBlue Airways ultimately assisted City Hall by relinquishing some of its flight slots, which helped enable an FAA-approved settlement. However, the FAA also stated that it viewed the Council's May 2001 action (letting a carrier hold a flight slot for a lengthy period before flying it) as an unreasonable restriction. The FAA told City Hall to reverse its May 2001 flight slot allocation rule change...and the Council did so. We had to take into account all facets of this...I don't envy you, your task, because you represent all the citizens of the city, and yet you have a constituency that you have to talk with...2/3s of the [Airport Advisory Commission] felt that it was an urgent matter that the Airport be improved as recommended by the consultants. And the important thing is we've had over two years, if you count our hearings and the year before that of hearing from the public, and I think without further delay it really calls for moving to the EIR. ...[Mr. Salk], you made continual reference when you did your presentation to 2/3s of the [Airport Advisory] Commission were for the [city management] recommendations that you placed, and that is accurate, but those six that were for it I believe are not directly impacted by where they reside and that many of you have airport related positions or influence. Those three that stood up smaller [options] and in support of neighborhoods are directly impacted by the growth at this Airport...It wasn't that majority was right and they were wrong. Mr. Salk: I'm pleased that you brought that up, because I was reluctant to say that the three who voted against it were either supporters or members of HUSH2. The six who voted for it, I'm speaking only for myself, looked at the total responsibility for this Airport as an asset of the city. We took everything into account. The reason I was one of the six is because I took the broader view, even after listening to objections. The scope of the EIR had been scheduled to come before the City Council over a year ago in December 2003 (with smaller facility sizes than now proposed). However in October 2003 -- with Council elections in airport-impacted Council districts 4 and 8 looming in Spring 2004 -- the Council (without management objection) voted to divert the hot potato Airport issue to their "Airport Advisory Commission"...a move virtually certain to delay a vote until after the Council elections. In those elections, voters in districts 4 and 8 removed their incumbents. During the intervening period, Airport management retained HNTB, which came up with the larger forecast passenger figures and larger terminal facilities sizes now being proposed. ...The proposals that you've heard so far seem to have come from some vested interests, and your responsibility is to remember your constituents. The consultants are going to get paid whether they dump a very expensive problem in our laps or not, and the management of the Airport, understandably every management wants to be manager over a larger, grander facility, it's in the nature, I don't blame them, but so far that seems to be the push of this project. ...I think there are three primary misconceptions, maybe more. First off, almost no major airport is being expanded wholly inside a major city. There are a few exceptions...It's just not being done. It's going against the trend. You should not be enlarging...a major airport inside a major city. We, as we've talked before, are not looking to build anything more than adequate facilities, functional and just what we can get by to accommodate what we've got on the 41 [large aircraft] and 25 [commuter slots, aircraft under 75,000 pounds]. There are some very significant, substantive issues that need to be addressed before this project moves along any further. I think that now is the time to discuss such things as funding, because now is the time I think to reach agreements with those who have financial stake, who run businesses at the Airport and who obviously are going to be very concerned about that. They may not be supporting a terminal if they're required to pre-fund it, or that might change the size of the terminal. The design, as Councilwoman Gabelich mentioned, is rather important because it may change the sizing needs. It's true that the city does not have to come up with a design in order to get the EIR moving...but it's also a true statement that nothing prevents the city from coming up with a design in order to move the EIR forward. In fact many of us have said it we could see it...and understand how things are going to be laid out, where they're going to be, how efficiencies can be used to the city's advantage. A Council committee is separately preparing a set of "guiding principles" (similar to those used for expansion of the I-710 freeway] that would be applied to expansion of the Airport's permanent terminal area facilities. That task is expected to be completed before the February 1 Council meeting on the scope of an EIR. As the Jan. 4 meeting was a non-action study session, no Council vote was taken.